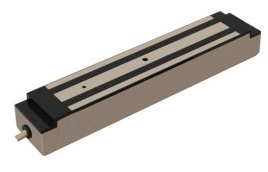 STG have developed a range of specialist Electro-Magnetic Locks specifically designed to meet the exacting demands of the Access Control industry. To purchase this lock online please click here and you will be redirected to our affiliate company e-commerce site. This high end lock has a 600lb (272Kg) holding force and includes a built-in Magnetic Contact for Door Status Monitoring (Open or Closed). Input voltage is user selectable for either 12 volts DC or 24 volts DC. This lock has been reversed to provide maximum mounting flexibility, can also be used as a pair on double leaf doors when used in conjunction with the EM600S-Mag.Ctc. To purchase this lock online please click here and you willbe redirected to our affiliate company e-commerce site. This high end lock has a 600lb (272Kg) holding force (per magnet)and includes a built-in Magnetic Contact for Door Status Monitoring (Open or Closed). Input voltage is user selectable for either 12 volts DC or 24 volts DC. This lock has been designed for use on a pair on double leaf doors, it is effectively two single magnetic locks mounted within a single enclosure. This high end lock has a 600lb (272Kg) holding force and includes a built-in Magnetic Contact for Door Status Monitoring (Open or Closed). This lock also includes an LED to indicate Lock Status: Green = Locked, Red = Unlocked and Off = No Power. Input voltage is user selectable for either 12 volts DC or 24 volts DC. This high end lock has a 600lb (272Kg) holding force and includes a built-in Magnetic Contact for Door Status Monitoring (Open or Closed). This lock also includes an LED to indicate Lock Status: Green = Locked, Red = Unlocked and Off = No Power. Input voltage is user selectable for either 12 volts DC or 24 volts DC. This lock has been reversed to provide maximum mounting flexibility, can also be used as a pair on double leaf doors when used in conjunction with the EM600S-Mag.Ctc. This high end lock has a 600lb (272Kg) holding force and includes a built-in Magnetic Contact for Door Status Monitoring (Open or Closed). This lock also includes an LED to indicate Lock Status: Green = Locked, Red = Unlocked and Off = No Power. Input voltage is user selectable for either 12 volts DC or 24 volts DC. This lock has been designed for use on a pair on double leaf doors, it is effectively two single magnetic locks mounted within a single enclosure. 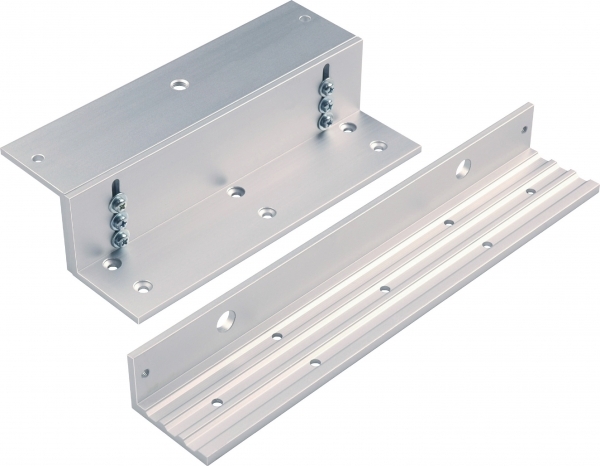 This anodised aluminium armature plate housing has been designed to increase aesthetic appeal and ease the installation of the armature plate to the door. This plate is screwed to the door allowing the armature plate to attach to it. This negates the need to drill a hole through the door. Additionally this allows for faster and more accurate fixing of the armature plate. Increased security is achieved as plate fixing is not visible from the insecure side of the door. 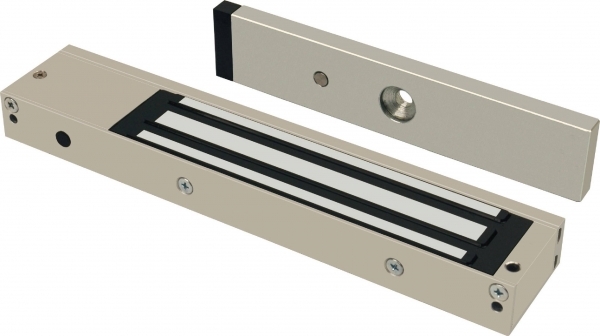 This bracket has been designed to allow the attachment of our EM600 series Electro-Magnetic locks to be attached to glass doors with glass frames. It is supplied as two brackets, one to fit the armature plate to the glass door and the other to fit the Magnetic lock to the glass frame. The design allows for maximum flexibility and adjustment. This bracket has been designed to allow the attachment of our EM600 series Electro-Magnetic locks to be attached to Out-Swing doors. The bracket secures the magnetic lock to the door transom. The design allows for maximum flexibility and adjustment. 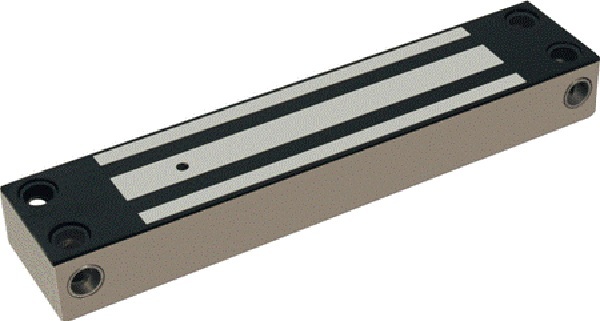 This bracket has been designed to allow the attachment of our EM600 series Electro-Magnetic lock armature plates to be attached to frameless glass doors. The U1 bracket slips over the glass door and is clamped to the glass door, the armature plate is then secured to the U1 bracket. The design allows for maximum flexibility and adjustment. This bracket has been designed to allow the attachment of our EM600 series Electro-Magnetic locks to be attached to In-Swing (Inward Opening) doors. 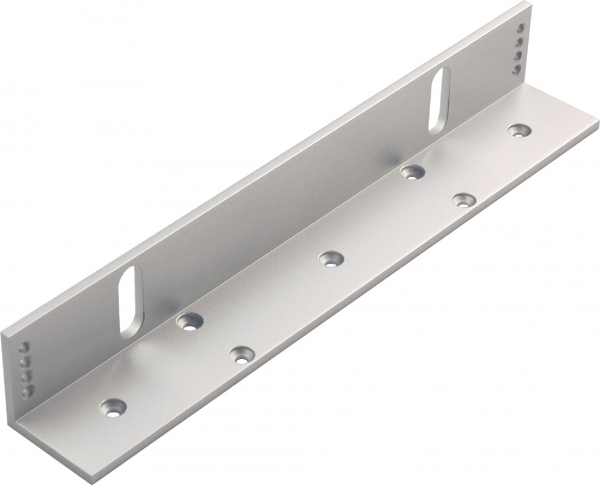 The ZL brackets allow the installation of the armature plate on inward opening door. The magnet faces away from the door and the armature plate (mounted onto the Z & L bracket) is held to face the magnetic lock. The design allows for maximum flexibility and adjustment. 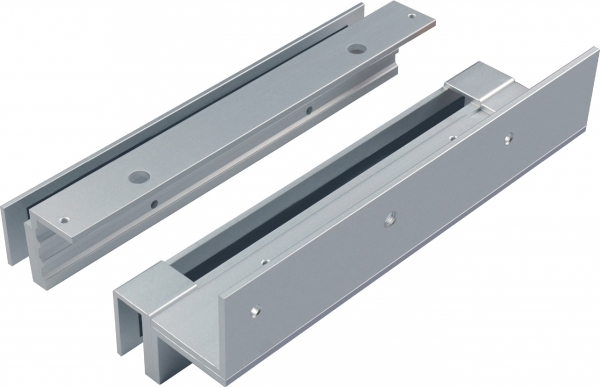 This bracket has been designed to allow the attachment of our EM600 series Electro-Magnetic locks to be attached to In-Swing (Inward Opening) doors. 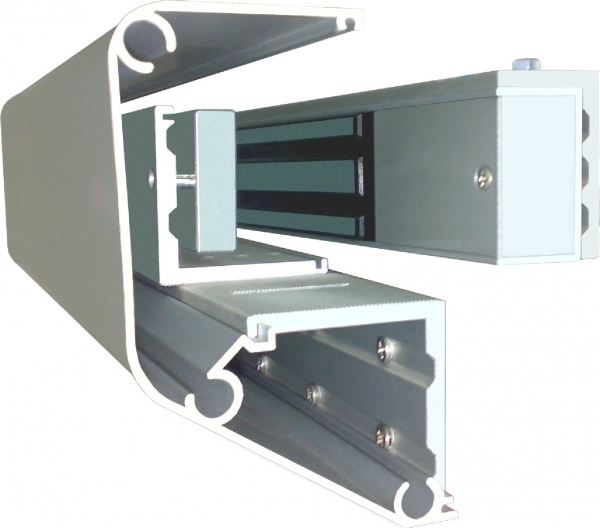 The ZL brackets allow the installation of the armature plate on inward opening door. The magnet faces away from the door and the armature plate (mounted onto the Z & L bracket) is held to face the magnetic lock. The design allows for maximum flexibility and adjustment. This bracket comes with an architectural cover to provide a neater and aesthetically pleasing finish to all installations. 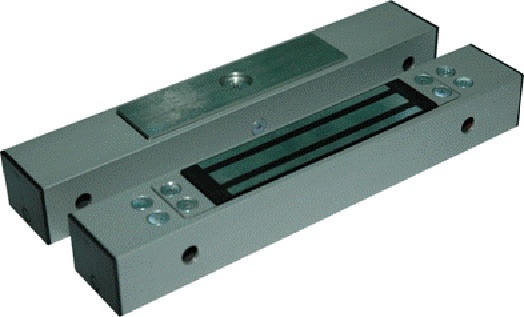 EM600-MORTICE_Mag.Ctc Mortice Magnetic Lock with 600lb holding force for use on sliding doors. This high end lock has a 600lb (272Kg) holding force and includes a built-in Magnetic Contact for Door Status Monitoring (Open or Closed). Input voltage is user selectable for either 12 volts DC or 24 volts DC. 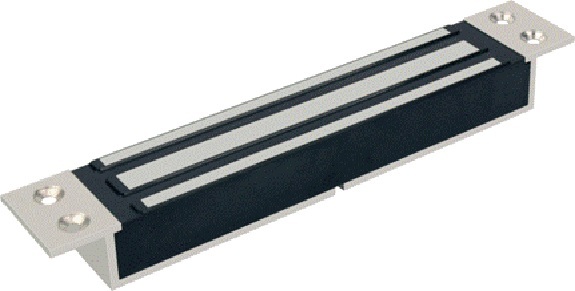 These Mortice Magnetic locks are ideally suited to sliding doors or windows when morticed into the frame. This high end lock has a 600lb (272Kg) holding force and includes a built-in Magnetic Contact for Door Status Monitoring (Open or Closed). Input voltage is user selectable for either 12 volts DC or 24 volts DC. 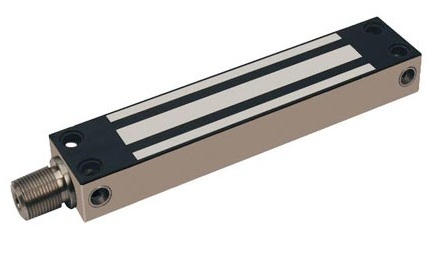 These Mortice Magnetic locks are ideally suited to sliding doors or windows and are enclosed with an anodised aluminium housing to allow for surface mounting. This high end lock has a 600lb (272Kg) holding force and is manufactured from Stainless Steel making it ideal for external applications. Input voltage is user selectable for either 12 volts DC or 24 volts DC. 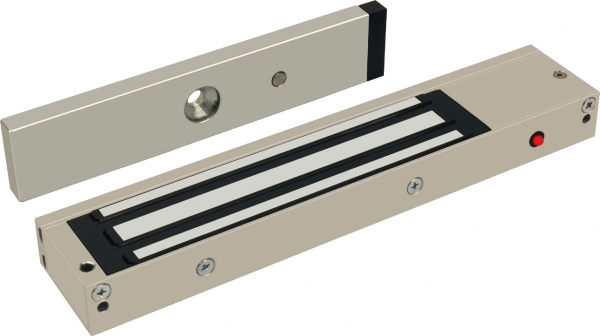 These Mortice Magnetic locks are ideally suited to sliding doors or windows when morticed into the frame. This high end lock has a 800lb (362Kg) holding force and includes a built-in Hall Effect Contact for Door Status Monitoring (Open or Closed). It is manufactured from Stainless Steel and its water-proof construction makes it ideal for external applications. Input voltage is user selectable for either 12 volts DC or 24 volts DC. 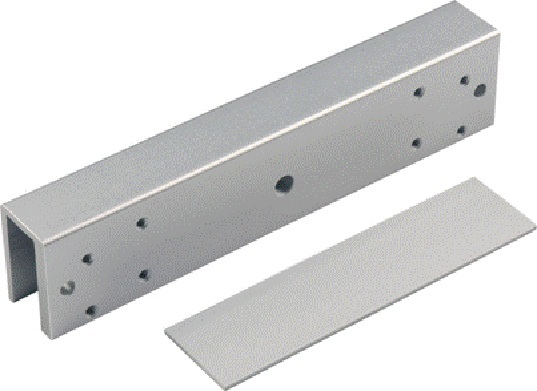 These Stainless Steel Magnetic locks are ideally suited to external applications. This high end lock has a 800lb (362Kg) holding force and includes a built-in Hall Effect Contact for Door Status Monitoring (Open or Closed). 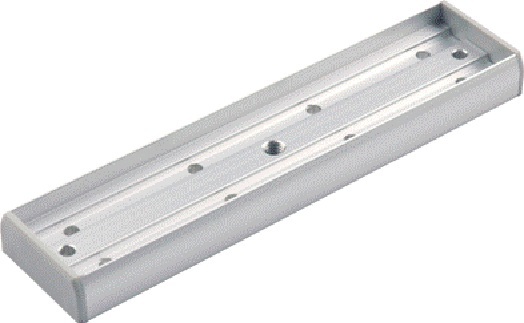 It is manufactured from Stainless Steel and its water-proof construction makes it ideal for external applications. Input voltage is user selectable for either 12 volts DC or 24 volts DC. These Stainless Steel Magnetic locks are ideally suited to external Gate applications.